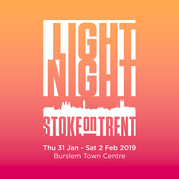 Stoke on Trent City Council, Appetite and the Cultural Forum are thrilled to be launching a brand new citywide event: Light Night Stoke-on-Trent. Taking place in Burslem Town Centre from Thursday, January 31 to Saturday, February 2, Light Night is a free, three-evening event for the whole city that will see the town transformed with world-class animated projections, glowing musical parades and vibrant artworks. Light Night builds on the fantastic momentum, energy and pride generated by the city’s bid to be UK City of Culture and is match funded by Arts Council England and Stoke-on-Trent City Council. Everyone is encouraged to visit the event, so make a note in your 2019 diary, it’s a celebration you don’t want to miss. Can you help police find missing Gabriel - who was last seen in McDonalds?